Wyndham Park City - within close proximity to Park City Mountain, Deer Valley and Canyon Resorts – is a haven for snowboarders and skiers in the winter, and hikers and mountain bikers in the summer. This resort consists of two and three-bedroom units. 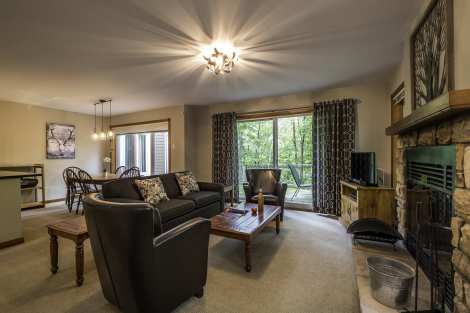 Gas fire places and wireless Internet service are available in all of the units. The resort is happy to provide you with a heated outdoor pool, hot tub, movie theater, café/snack bar, owner's lounge, bar/lounge, ski lift, sun deck, ski storage, game room and business center. Resort Amenities include; Bar/lounge, business center, cafe/snack bar, clubhouse, fitness center, game room, gift shop, hot tub (outdoor), movie theater, owner lounge, picnic/barbecue area, pool (outdoor heated) ski lift, ski storage, sun deck.